We moved to South Korea in Spring to chase the kite strings of my career. Since arriving, we have experienced the excitements and disappointments that naturally come along with cultural immersion. To date, one of the most interesting aspects of this immersion has been our exposure to traditional and contemporary Asian art. There is a great focus here on what's natural and organic. 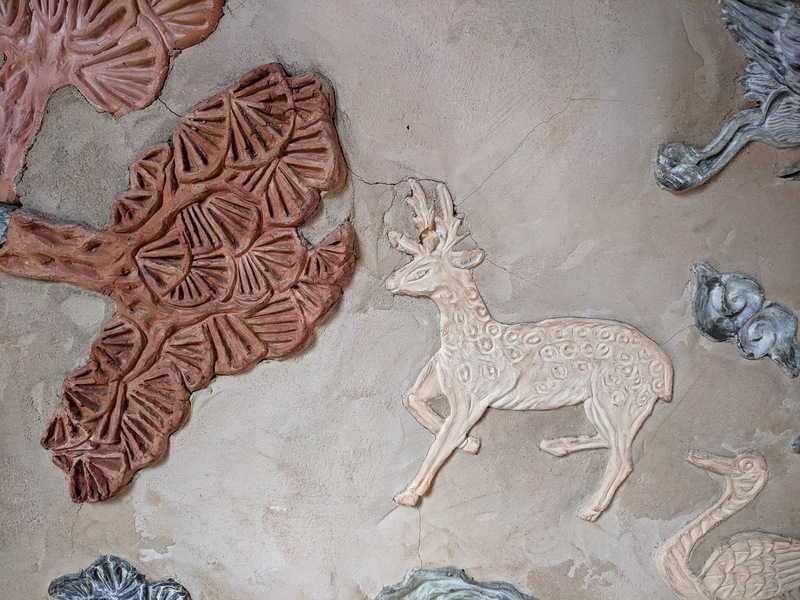 The flora and fauna of the environment are captured in everything from elegant watercolors to textured tile and stucco entryways. In a future post, you will even see how these elements are captured in whimsical stories and flourishes on metal gates and doorways. I most enjoy the sentimentality and pride inherent in Korean art. Koreans are willing to explore both the dark and the exuberant times of their turbulent yet ancient history. As an American, it is somewhat difficult to grasp. 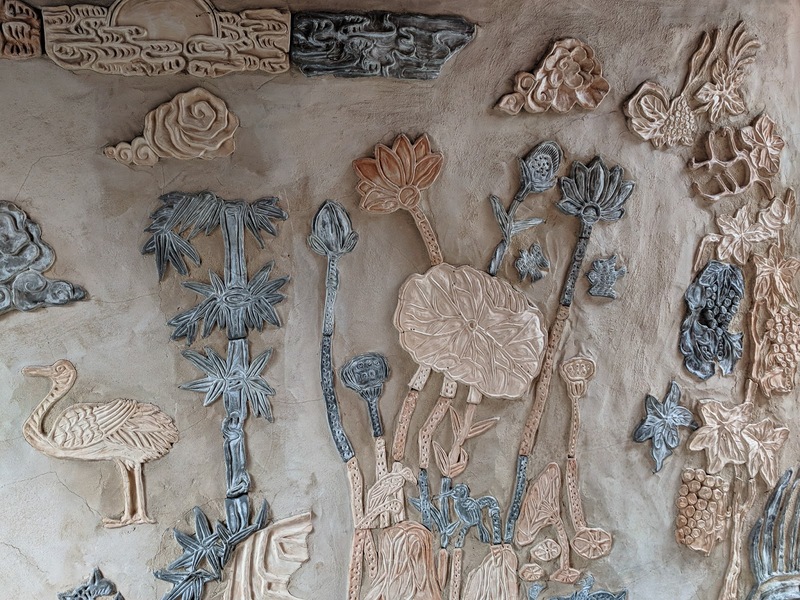 We have our own history, of course, and our own ancient Native civilizations, but the cohesion-and eventual separation-of Korean is ever present in their art spaces and pieces. I will tell you have a strong distaste for puppets, clowns, marionettes...pretty much the gamut of caricatures terrorized me as a child and still plague me to this day as an adult. But I also felt that aversion wane just a wee bit when I came upon these marionettes in Seoul. 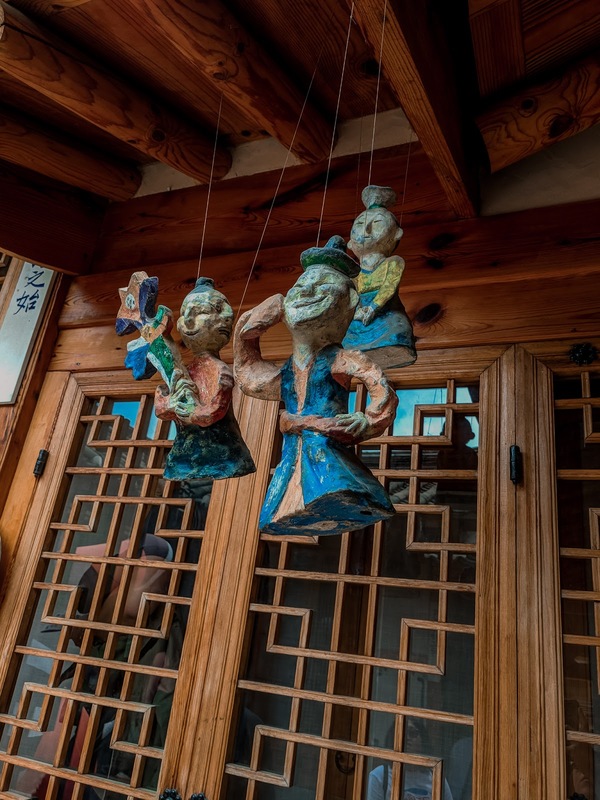 They hang from the tiled rafters in a tiny residential museum in one of the older shopping districts in Seoul, just north of the Palace. For all I know, these could be caricatures of truly heinous individuals in history, or beloved members in society. Something about the playfulness of their expressions as they hang in the air to greet guests started to crack the veneer of my disgust for puppets. 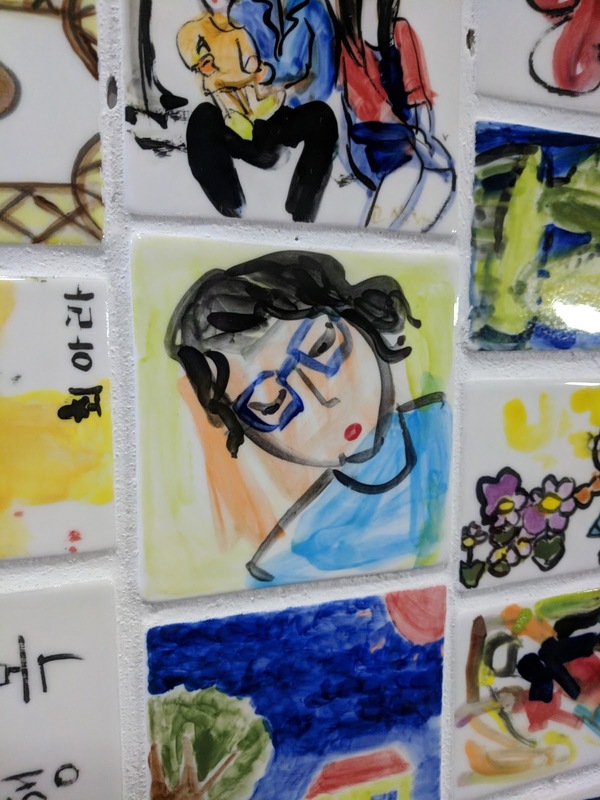 Much, much further south of Seoul, there is an underground art mall in the heart of the International Shopping District in Pusan (known my most Americans as Busan). 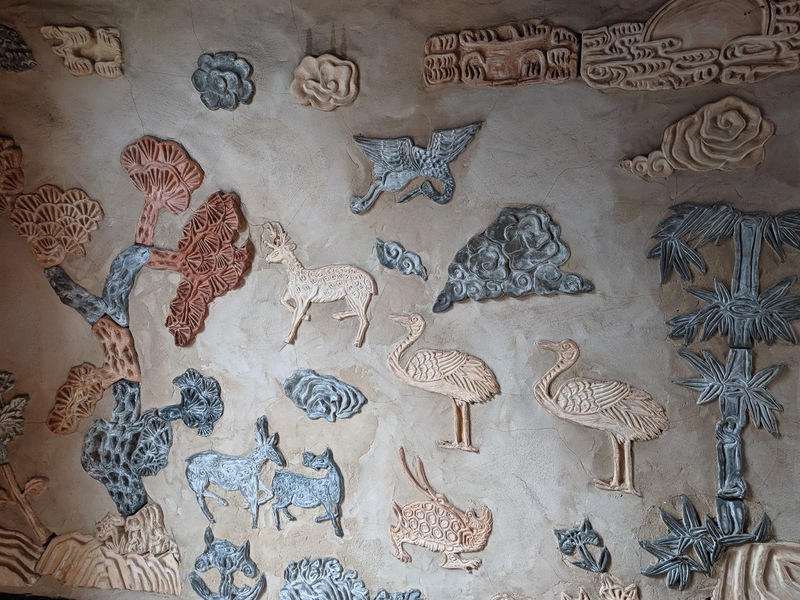 At one entryway, there is this miraculous wall mural. This painting so perfectly depicts Korean residential life. 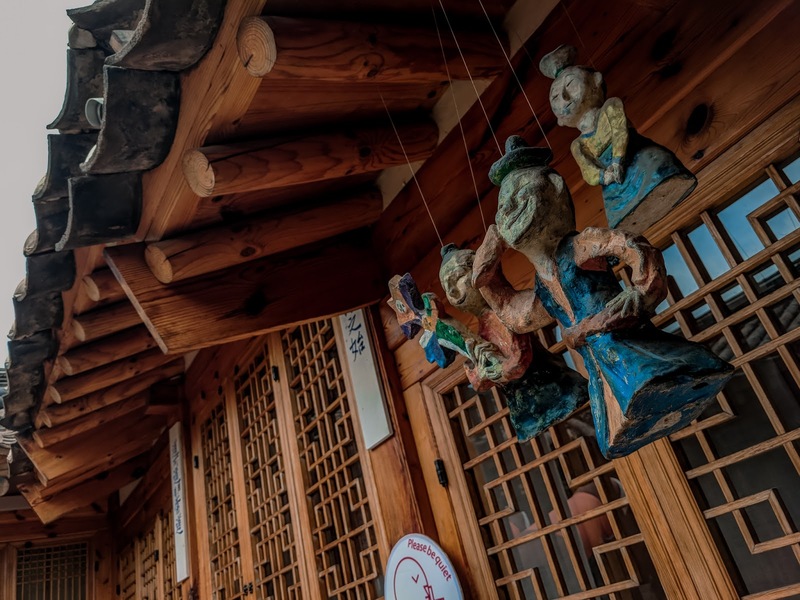 It captures what mailboxes truly look like (stuffed with packages and all), the haphazardness, youthfulness, crowding simplicity, organization...so many of these qualities are inherent in all that South Koreans do. If you walk through one end of the mall to the other, eventually the stairs take you past this tiled wall. 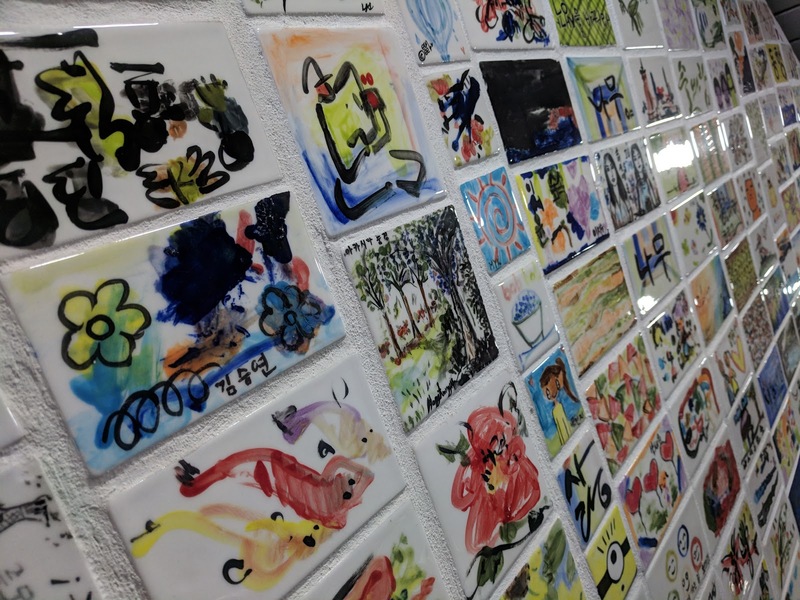 Each tile has been painted with care by local children and families. 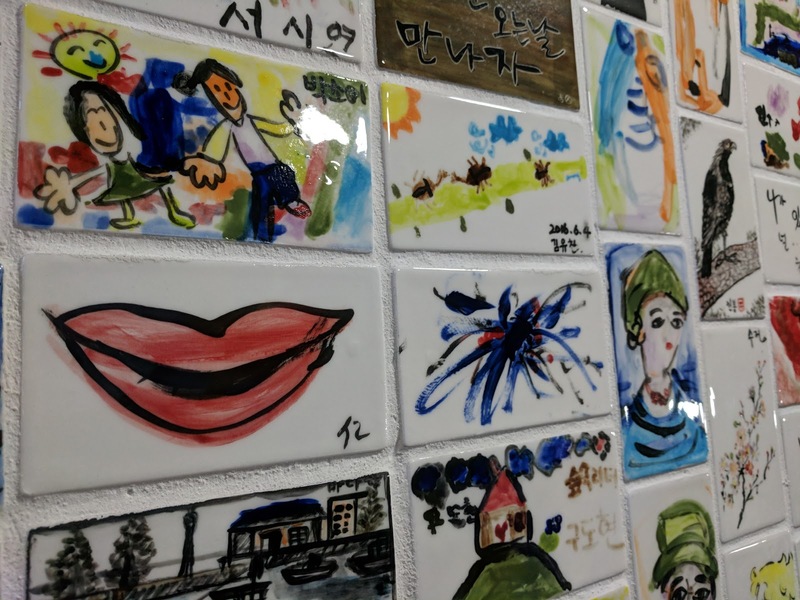 Art is an incredibly valued skill and facet of the culture here in South Korea. It's in stark contrast to the rigid, routine propagandized art of the North. In moving to Korea, my husband and I have both learned that we are capable of enduring so much more than we ever thought able. In just a few months, we have grown as adults, as a couple, and even as pet parents. We talked recently of how we never imagined ourselves to be the types to live abroad, though we certainly dreamt of it and we have a wish list. With this experience, we've realized that wish list is now much more of a possibility. Living in Korea has also inspired me to start making art again, to let my imagination wander and take root in bits of sunshine. For me, that means continuing with photography but taking it in a new direction to capture textures and surfaces, taking online paint mixing courses, and starting an art journal. It's a great opportunity to view art, make art, and live through art. May you be overcome with imagination this week!